If you’re like most people, when you hear the word “freezer,” you picture the little compartment in your fridge where the ice cream lives. It’s not very big – probably between seven and nine cubic feet – but that’s plenty of space for a tray of ice and a few bags of frozen veggies. Chances are, it’s never even occurred to you that a freezer can do more than that. However, a bigger, stand-alone freezer can do a lot more than store more flavors of ice cream. In fact, it can be a complete game-changer in terms of how you shop, cook, and eat. Depending on how you eat now, the amount you save on groceries with your new freezer could possibly pay for the appliance in a year or less. Food keeps a lot longer in a freezer than it does in the fridge – and a stand-alone freezer can store lots of it. This allows you to take advantage of all kinds of food bargains without having to worry that your buys will go bad before you get a chance to enjoy them. With the help of your trusty freezer, you can shop and cook in bulk, then stow away most of the food to thaw whenever you need it. You can also make the most of free food, such as garden produce, fresh-caught fish, and gifts of surplus food from friends and neighbors. Having a home vegetable garden is a wonderful way to enjoy delicious, fresh produce on a budget. However, it’s possible to have too much of a good thing. Some weeks, your garden produces more of one single crop – tomatoes, cabbage, squash – than you can possibly eat at once. Nearly every gardener has at some point been tempted to sneak zucchini onto the neighbor’s porch because they just can’t stand to eat one more bite of it. Fortunately, if you have a freezer, there’s no need to sink to such depths. Instead, you can store the bounty of your garden to enjoy later on. In the bitter cold of February, when the supermarket is carrying nothing but tasteless tomatoes shipped from thousands of miles away, last summer’s corn and zucchini will taste wonderful. There are several ways to freeze your garden produce. AllRecipes recommends blanching most veggies (dunking them quickly in boiling water), drying them off, and packing them tightly into bags in the freezer, where they’ll keep for up to 18 months. Fresh fruits can either be frozen whole or packed in syrup; they’ll stay good in the freezer for up to a year. You can also process your tomatoes into sauce or your fresh basil into pesto and store it in freezer-safe containers for a future spaghetti dinner. Even if you don’t have a garden, you can still use a freezer to preserve the taste of summer. For instance, if friends with gardens offer you their surplus, you don’t have to limit yourself to what you can eat right away; you can accept as much as they’re willing to give and store the rest for later. You can also stock up on your favorite fruits and veggies at farmers’ markets or food co-ops when they’re in season and prices are low. Being able to store excess produce could even make it worthwhile to invest in a community-supported agriculture (CSA) share that would otherwise result in too much food for your family. A 2011 report from the U.S. Department of Agriculture (USDA) found that Americans pay an average of $0.50 per “edible cup equivalent” for fresh fruits and veggies. That means if you can squirrel away one quart of fresh produce per week during the growing season – May through October – you’ll save about $52 per year. The more you can manage to store, the more you’ll save. Gardeners aren’t the only ones who sometimes find themselves with more food than they can eat. If your hobbies include hunting or fishing, you’ve probably found yourself coming home after a successful day with enough meat or fish to feed your family for days, if not weeks. That is, if it would keep long enough – and if your family could stand to eat the same thing so many nights in a row. A freezer offers an obvious solution to this problem. You can enjoy just one or two meals from what you’ve bagged right away, then preserve the rest to enjoy later. Freezing your catch also comes in handy on those days when the only fish biting are ones you don’t like to eat. If you’ve come home with a creel full of bluefish and you just can’t stand bluefish, freeze your catch and then offer to barter it with your friends and neighbors. In exchange, you could get produce from their gardens, homemade woolens, or even a service, such as having your gutters cleaned. Using your freezer this way can offer big savings. According to Butcher & Packer, a single mature buck can yield around 70 pounds of venison. The same amount of fresh beef, based on figures from the Bureau of Labor Statistics (BLS), would cost anywhere from $255 to $544. Even if one deer is the legal limit, that’s a savings of at least $255 for the season. One of the most common tips for cutting your grocery bill is to buy in bulk, since larger packages almost always cost less per pound. Unfortunately, they’re often too big for a single person, or even a smaller family. Getting five pounds of shredded mozzarella cheese for just $10 is no bargain if there’s no way you can eat that much cheese before it gets moldy. However, if you have plenty of freezer space, you can buy the bigger packages and freeze what you can’t use. 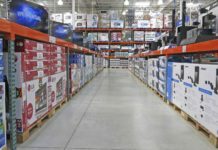 This makes it easier to get your money’s worth from a warehouse club membership. A $50 or $60 yearly fee is a much better deal when you can actually take advantage of the store’s low-priced, jumbo-sized packages. Meat. Meat is one of the priciest items in the average grocery cart, but buying in bulk makes it much cheaper. For example, the BLS puts the average price of boneless, skinless chicken breast at $3.13 per pound, but at one of my local supermarkets last month, you could buy a four-to-five-pound family pack for just $1.99 a pound. The Huffington Post reports that all meats will keep for at least a month in the freezer, and larger cuts – steaks, roasts, and whole chickens or turkeys – will keep for up to a year. Nuts. Nuts are both delicious and nutritious, but they’re also pricey – as much as $12 a pound. So, when you find a great deal on bulk nuts, it’s tempting to stock up. Unfortunately, they’ll only keep for a few months on the shelf. However, freezing them keeps the oils in the nuts from going rancid, so they’ll stay tasty for up to two years. Grains. Just like nuts, whole grains and whole-grain flour contain oils that can go rancid after a few months. However, freezing them will roughly double their shelf life, according to the Whole Grains Council. It also protects them from mealworms – little moth larvae that can infest grains stored at room temperature. Bread. If you live alone, you can’t always get through a family-sized loaf of bread before it goes stale. Fortunately, freezing the unused part will keep it good for a couple of months. You can simply remove slices and pop them in the toaster as needed. Freezing bread also makes it easier to save money by baking your own, since you can make several loaves at once and freeze what you don’t need. Cheese. According to the Huffington Post charge, both hard and soft cheeses will keep for up to six months in the freezer. If you buy block cheese, grate it all at once and freeze it in large bags – the shredded cheese cooks up just as quickly as fresh cheese in pizzas and pasta dishes. Coffee. Many coffee snobs argue that you should never freeze coffee because it degrades the flavor of the beans. However, a taste test done at Serious Eats found that this isn’t always the case. Coffee made from whole coffee beans tasted much better when the beans were stored at room temperature – but when the coffee was ground before storage, the frozen grounds actually made better-tasting coffee. Meister, the expert who performed the test, concluded that if you’re going to buy coffee in bulk, it’s best to store it in air-tight, portion-sized packages in the freezer. Just be sure to use up the whole package at once, and never refreeze the thawed grounds. The savings from bulk buying can be quite impressive. If you buy one family pack of chicken breasts each month instead of five individual one-pound packages, that’s a savings of over $68 a year on chicken alone. Similarly, buying a pound of organic, gourmet coffee each month for $12 would cost nearly $40 more per year than buying three four-pound sacks at $35 each. Buying bigger packages isn’t the only way to get great deals at the grocery store. You can do just as well or better by stocking up during sales – especially if you can combine sales with coupons. But if you don’t have a freezer, you have to limit this kind of stocking up to canned goods and other products with a long shelf life. With a freezer, you can take advantage of sales on fresh foods as well, buying several months’ worth of meat or produce in one trip. A freezer can also be a boon for city dwellers who don’t own cars and don’t live anywhere near a supermarket. If you’re in this situation, a trip to the nearest big supermarket can be a major excursion. You have to haul heavy bags of groceries home on the bus or subway – sometimes even multiple buses or subways – or else pay $20 or more for cab fare. As a result, many city dwellers either rely on pricey local markets or eat out all the time. However, for a city dweller who owns a freezer, supermarket shopping makes a lot more sense. Instead of going to the store every week, you can make one big stock-up trip per month to fill your freezer. As long as you only have to pay for cab fare once a month, the money you save on groceries is more than enough to offset the cost. Or you can skip the taxi and bum a ride off a friend – a reasonable favor to ask, as long as it’s only once a month. If you’re used to shopping at a trendy, upscale grocery store in the city, you’re possibly paying around double what you would at a regular supermarket. Switching stores with the help of your freezer could save you as much as $175 a month, or $2,100 a year. When you’re on a busy schedule, it’s not always easy to find the time to cook a meal from scratch. When you come home from work late and exhausted, it’s a lot easier to head for a restaurant than to roll up your sleeves and start cooking. Unfortunately, it’s also a lot pricier. Based on the latest “Cost of Food at Home” chart from the USDA, it’s possible to prepare a home-cooked meal for less than $4. By contrast, a restaurant meal for one can cost anywhere from $6 for fast food to $50 for fine dining. However, if you have a freezer, you can plan ahead for these situations by making freezer meals. These are either fully cooked or partially cooked meals that you assemble ahead of time and stash in the freezer, ready to heat and eat. For instance, you can make a big pot of chili or a pan of lasagna, divide it up into portion-sized containers, and freeze them. Then, on those days when you just don’t have the energy to cook, you can pull out one of your homemade “TV dinners,” pop it in the microwave, and have a hot meal in minutes. If you substitute a freezer meal for a restaurant meal just once a week, you could save more than $750 over the course of a year. On top of that, freezer meals are often healthier than takeout food, and you can control exactly what goes into them. That means if you’re on a special diet – such as gluten-free, vegan, or paleo – you won’t have to pay extra to get a meal cooked to your requirements. Naturally, if freezers offered all these great benefits with absolutely no downsides, everyone would have one. However, most American households don’t. There are three major drawbacks that put people off from buying a separate freezer: cost, energy, and space. Mini Freezers. These small units range from just over one cubic foot to five cubic feet in capacity – smaller than the freezer compartment in most refrigerators. According to ConsumerSearch, it’s possible to buy a freezer this size for less than $200. Chest Freezers. This type of freezer, as its name implies, is built like a chest, with the door on top. Consumer Reports says chest freezers generally stay more consistently cold than upright ones, and they’re less likely to cause freezer burn. Prices for this type of freezer range from $200 to $1,000. You can buy a 15-cubic-foot chest freezer – large enough to store an entire butchered steer – for around $500. Upright Freezers. Some people prefer upright freezers, with the door on the front, because they’re more convenient to use. They give you easier access to the food inside, and most don’t require defrosting. However, upright freezers are a bit pricier than chest freezers: between $300 and $1,500. A medium-sized unit, between 15 and 17 cubic feet, costs around $700. The cost of owning a chest freezer doesn’t stop when you get it home. You also have to pay for electricity to keep it running. A medium-sized freezer uses between 300 and 500 kilowatt-hours (kWh) per year, adding around $50 to your electric bill. Here, again, the type of freezer makes a difference. Chest freezers, as a rule, tend to be more efficient than upright freezers. The top-rated chest freezer for 2017 at ConsumerSearch measures 15.69 cubic feet and uses 306 kWh per year. The top-rated upright freezer is slightly bigger, at 16.6 cubic feet, but it uses 436 kWh per year – over 40% more. You can also save energy by choosing a freezer with the Energy Star label. Any freezer with this label is guaranteed to be at least 10% more efficient than the minimum federal standard. However, the most important factor in a freezer’s energy use is the size. You’ll get the best value for your dollar by choosing one that’s just big enough to store everything you want, and no bigger. If you’re a hunter who plans to stow one or more whole deer in the freezer every year, you’ll need more room than someone who just wants to keep one month’s worth of frozen food on hand. A good rule of thumb is that a single cubic foot of freezer space can hold about 35 pounds of food. For many people, the biggest barrier to buying a freezer isn’t the cost – it’s the space. A typical 15-cubic-foot chest freezer measures about four feet wide, three feet tall, and nearly three feet deep. Finding a space to store something that big can be a challenge, especially if you live in a small apartment. However, there are some ways around this problem. One is to choose an upright freezer instead of a chest freezer. Upright freezers are actually slightly bigger than chest freezers with the same capacity, but their footprint is smaller. That can make them easier to squeeze into a small area, such as a closet. 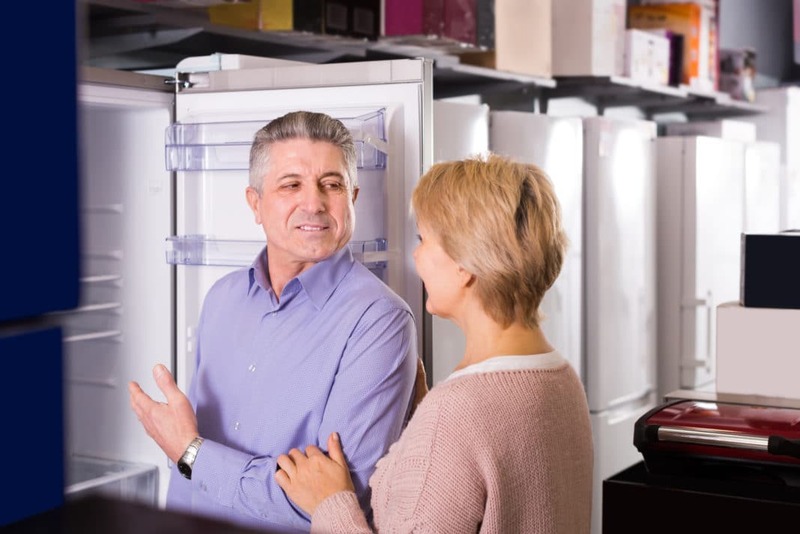 According to Consumer Reports, a 22-cubic-foot upright freezer takes up a 2.5-foot square of floor space, while a similar-sized chest freezer needs a two-by-six-foot space. You can also save space by choosing a smaller freezer. A typical five-cubic-foot chest freezer is only 30 inches wide and 21 inches deep, and it can still hold around 175 pounds of food. A smaller freezer is also easier to maneuver into place, especially if you have to go up stairs or through narrow hallways. Should You Buy a Freezer? Nearly anyone can save at least some money by using a freezer. However, for some people, the amount they can save isn’t enough to offset the cost of the freezer and the energy it uses. The space the freezer takes up is also a concern. Some people might save more money by devoting that space to another appliance, such as a compact washer-dryer that could eliminate trips to the coin laundry. How Many People Live With You? You’re more likely to get your money’s worth out of a freezer if you have a lot of mouths to feed. The bigger your family, the bigger the stockpile of food it’s reasonable to keep on hand. By contrast, if you live by yourself, the freezer section in your refrigerator might be enough to store your more modest food stash. How Big Is Your Fridge’s Freezer? Modern refrigerators tend to be a lot bigger than older ones, with a lot more storage space in both the fridge and the freezer. The freezer compartments in some French-door and side-by-side fridges measure nine cubic feet or more – enough to hold around 315 pounds of food. By contrast, a smaller refrigerator with a top-mounted freezer could have as little as three cubic feet of freezer space. How Much Meat Do You Eat? Meat is one of the costliest items at the supermarket, which means it also offers the biggest potential for savings. If your family eats meat at nearly every meal, you can save a bundle by stocking up on chops or chicken when you get a good sale. If your diet is mostly or completely vegetarian, you can still put a freezer to good use by storing veggies and grains – but these aren’t nearly as expensive, so you won’t be able to save as much. Do You Hunt, Fish, or Garden? If you hunt deer or anything larger, a freezer is almost a must. There’s so much meat on a deer that it’s pretty much impossible, even for a large family, to eat it all before it goes bad. Fishing and gardening can also fill up your freezer, but not in every case. If you bring home a creel full of fish every weekend, or if you have a garden measuring thousands of square feet, you’ll definitely want a freezer to store all the surplus. However, if you only catch a few fish a year or you have a pocket-sized garden, you probably eat most of what you bring in right away, leaving very little for the freezer. Do You Have Room for It? A freezer is only practical if you have a place to put it – and a way to get it into that place. The space needs to be big enough to store the freezer, with a few inches around it for air circulation, and allow room for the door to swing. It also needs access to an outlet, and it has to stay at a reasonable temperature year-round. Most freezers can’t work in temperatures colder than 32°F or hotter than 100°F, which eliminates some garages and other unheated areas. Finally, once you’ve found a space that looks ideal, you also need to make sure there’s enough room to get the freezer into that space – up stairs, through doors, and along hallways. If you think a freezer is a good investment for you, your first decision is what size to get. Frugal-living expert Amy Dacyczyn, in her book “The Complete Tightwad Gazette,” says a good rule of thumb is to aim for three cubic feet for each person in your household. However, you should adjust this figure up or down based on your lifestyle. Choose a larger freezer if you hunt or have a large garden, or a smaller one if you don’t garden at all. Next, think about which type of freezer you prefer. Upright freezers have a smaller footprint, and their interior shelves make it easier to organize and access all your food. However, a chest freezer of the same size will give you more usable space and use less energy. Consumer Reports says chest freezers also do a better job of maintaining a constant, low temperature, which means they’re better at keeping food fresh. One big factor in your decision will be defrosting. All chest freezers have to be defrosted manually – a lengthy process that requires you to empty the freezer completely, let the built-up frost melt, and empty the water down the drain or out the door with a hose. This can take hours, and you have to do it about twice a year to keep the freezer running efficiently. Most upright freezers, by contrast, defrost themselves automatically, just like your refrigerator. This saves you a lot of hassle, but it has drawbacks too. Auto-defrost freezers are louder and less efficient than manual-defrost models, and they’re more likely to cause freezer burn. You have to decide whether the convenience of a self-defrosting freezer outweighs these downsides for you. Finally, think about what extra features you’d like your freezer to have. For instance, if you have small children, you’ll probably want a safety lock so they can’t open the freezer – or worse, climb inside – without permission. Interior compartments, such as shelves, dividers, and tiered bins, can make it a lot easier to get food into and out of the freezer. Other nice features include a quick-freeze cycle, which can freeze large amounts of food quickly, or a soft-freeze section, which keeps ice cream ready to scoop. Once you know what type of freezer you want, you can start looking for specific models that fit your needs. Review sites like Consumer Reports and ConsumerSearch are a good place to start. They can help you find models that fit your specs, perform well, and offer good value for money. Look for a freezer that’s quiet and efficient, stays consistently cold, and can keep food frozen for at least 24 hours in a blackout. It’s important to remember that food in a freezer doesn’t stay good forever. You won’t save any money if your food goes bad before you get around to using it. To avoid this problem, keep track of your freezer contents. Whenever you add something to the freezer, label it with the date. Then, when you pull food out of the freezer, you can go for the oldest packages first and use them up while they’re still good. 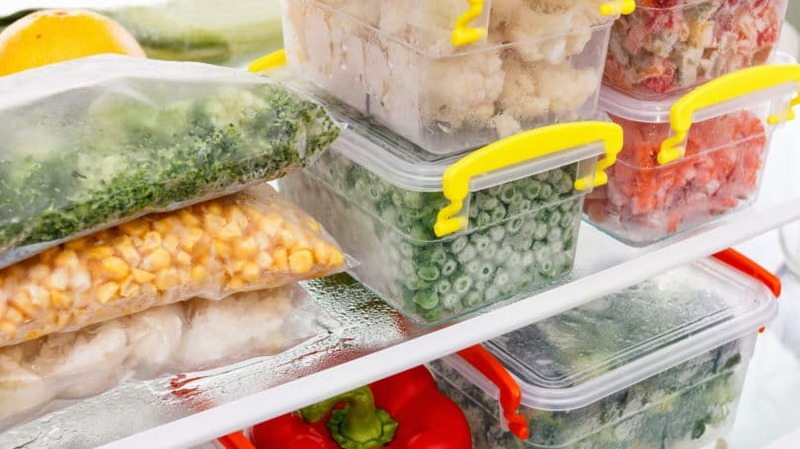 You can also keep your food fresher by packaging it right to prevent freezer burn. Make sure it’s completely cooled, then wrap it in several layers of plastic wrap to seal out air and moisture. Finally, remember to properly maintain the freezer itself. If you keep it at least half full at all times, it won’t have to work as hard to keep the contents cold. Also, if it’s a manual-defrost model, make sure to defrost it whenever the frost layer builds up to around half an inch. As long as you take good care of your freezer, you can count on it to take good care of your food. Have you ever owned a stand-alone freezer? If so, do you think it saved you money?